‘Give a girl the right shoes and she can conquer the world.’ Marilyn Monroe. | Sally says . . . eat, sleep, work, read, play, draw, bark . . .
← ‘Until one has loved an animal a part of one’s soul remains unawakened.’ Anatole France. Brilliant gumboots. Or Wellingtons as you might refer to them! These boots were made for sketching! And paddling! Although the sun is shining again today . . .
Great sketch Sal. 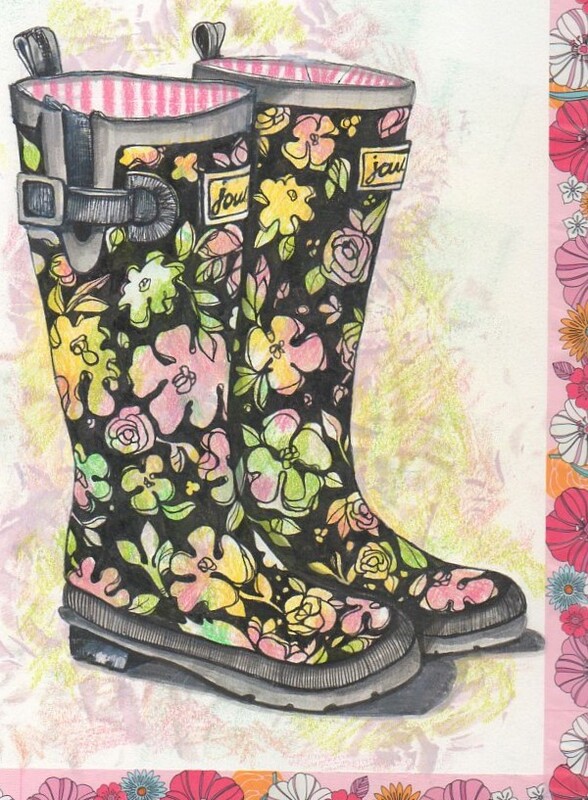 Love your wellies too.